The world’s most viewed sporting event happens every four years during the World Cup. Estimates suggest this year it will garner 3.2 billion viewers. In a recent commentary discussing who to root for during this global soccer match, subtitled “A Diasporic Black Man’s Guide to the World Cup,’ Maulud Sadiq wrote since his “family,” obviously due in great part by the Atlantic Slave Trade, is “spread all over the planet” he’s at first glance supporting teams of color. Senegal’s M’Baye Niang at the World Cup 2018. Calling his choice “a guide on watching the World Cup while Black,” he’s probably paid special attention to West Africa’s Senegal and its 2-1 victory over Portugal at Spartak Stadium in Moscow. By starting its World Cup with a win, Senegal saved Africa from beginning the tournament with zero wins. This victory was the first and only African win in the first round of matches. This came after Egypt, Morocco, Nigeria and Tunisia all lost their opening matches. This saving of Africa, and Sadiq’s revisiting of the 2002 World Cup, where the Senegalese team beat France is worth repeating. “A bunch of brothers, etc.—shut out Henry, Zidan, and gang 1-0 after El-Haji Diouf shimmied past Leboeuf, crossed it to Papa Malik Diop who poked the ball into the back of the net leaving Barthez stunned,” wrote Sadiq. That’s one way to show your former colonial master who’s boss. Senegal’s coach Aliou Cisse, who was captain of the talented Senegal team that was among the final eight teams in 2002, is optimistic. “I’m certain that one day an African team, an African country, will win the World Cup,” he said. But it will take time, he believes. “It’s a bit more complicated in our countries. We face realities that are not there in other countries. We face realities that are not there in other continents,” he said, referring to infrastructure, budget and organizational issues. “But Africa is full of quality and we’re on the way. We fully trust our football (soccer), we have no hang-ups,” said Cisse, who was the only Black coach at the World Cup. Mbaye Niang, who scored Africa’s first goal during a match against Poland, said, “We know Africa supports us. If we can make all the other African nations proud, that is twice as glorious. We’re thinking of our journey, trying to write our own story but if we can inspire others, that’s a great honor for us.” Africa had only five teams in the World Cup. Europe had 13 teams. In 1998, when France won the World Cup, the slogan “black, blanc et beur” was popularly used to describe its team. It reflected the diverse ethnic background of its players— Black, White and Beur, or European-born to North African parents, reported Al Jazeera. Historically European’s national and club teams have benefited from talented players of African descent, whether born on the continent or to immigrant parents in living in Europe. 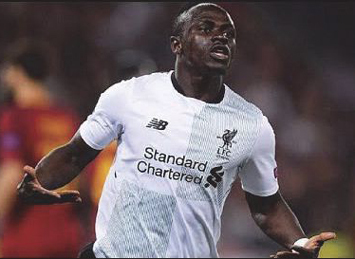 “Africa has bled football talent to Europe for decades now, which has been detrimental to the development of its professional football,” said an observer. Not only has Europe bled Africa of its sports talent, but historically the continent has suffered a brain drain of African professionals, including doctors and engineers, who receive training and work abroad, not to mention the history of taking trillions of dollars of undervalued raw mineral wealth out of Africa. According to Al Jazeera, limited oversight, predatory and unregulated soccer agents and inadequate commercial incentives encourage exceptional African players to leave the continent for Europe. The South African Football Association (SAFA) had pledged its “unqualified” support for Morocco’s bid to host the 2026 World Cup. Up against a joint bid from Canada/ Mexico/United States, Morocco sought to become only the second African country to host the World Cup after South Africa in 2010. “It is an old myth that Africa doesn’t have the capacity and naysayers should stop using the political argument,” said SAFA president Dr. Danny Jordaan. “Africa hosted the best FIFA World Cup ever and with good support, Morocco can emulate South Africa,” Jordan added. But Africa’s dream to host the World Cup was not to be. Like Morocco’s previous four bids to host the World Cup, its fifth ended in disappointment. 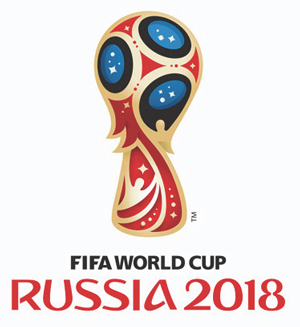 After voting by FIFA member nations on June 13 was tallied, the “United” bid of the USA, Canada and Mexico was picked ahead of Morocco to host the 2026 World Cup. Morocco’s 65 votes were outdone by 134 votes received by the United bid. “Crucially, 11 African countries voted against Morocco’s bid despite its project of a united front for another ‘Africa’ World Cup. That lack of African support proved costly as, to have any chance of winning the 104 votes required for a simple majority, Morocco needed the 54 votes held by Africa’s federations,” reported Quartz Africa. Some of the opposition stemmed from a four decade old territory dispute. In 1975, Morocco annexed the Western Sahara also known as Sahrawi Arab Democratic Republic, a former Spanish colony. But Morocco’s failed bid can’t be blamed on just not enough African votes, even with a united African front it would still have been well short of enough votes required to host the World Cup. Having lost the 2026 bid, Morocco plans to bid for 2030.